Upon crossing The Rhine into Germany proper, Nazi officials conscripted Germans of all ages and both sexes to take up arms against approaching Allied soldiers. 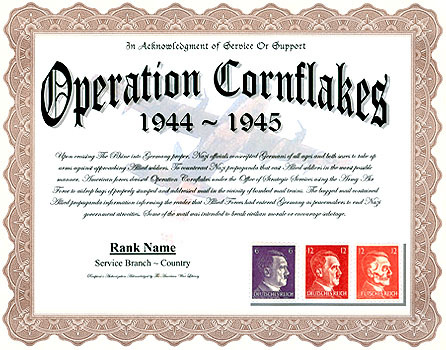 To counteract Nazi propaganda that cast Allied soldiers in the worst possible manner, American forces devised Operation Cornflakes under the Office of Strategic Services using the Army Air Force to aidrop bags of properly stamped and addressed mail in the vicinity of bombed mail trains. The bagged mail contained Allied propaganda information informing the reader that Allied Forces had entered Germany as peacemakers to end Nazi government atrocities. Some of the mail was intended to break civilian morale or encourage sabotage. 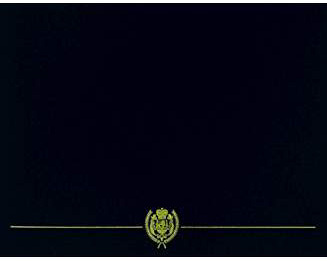 Awarded for In-theatre service during the Operation Period.